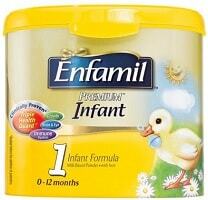 6-pack of Enfamil Premium infant formula tubs (23.4 oz) :: was $142.74 :: save 26% :: NOW $104.99! Merona Maternity Sleeveless Ruffle Knit Top in 5 different color choices :: was $19.99 :: save 40% :: NOW $12.99! Circo Newborn Girls 3-Pack Bodysuits :: was $6.99 :: save 37% :: NOW $4.99! 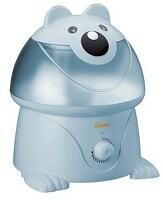 Crane Ultrasonic Nursery Humidifer :: was $39.99 :: save 25% :: NOW $29.99! awesome! i have twins and began formula at every bottle at nine months (and does it ever get expensive). they also gave an extra 15% off. ordered two units and saved $51 (which included shipping). like i said, awesome!! it was a little over $15 a tub and for enfamil that is fabulous.